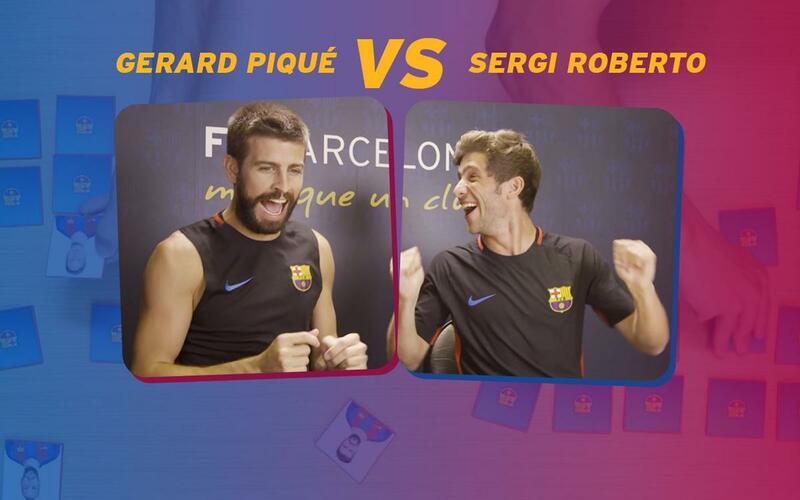 The two FC Barcelona face off in this fun game, but only one of them can be our champion. It goes right down to the wire - watch the video and find out what happens! It’s time for the Barça Memory Test, a new challenge that we’re putting to our players. It’s the game we all know and love from our childhood – turn over cards and try to remember where the matched pairs are hiding. Of course, this is Barça, so the pictures are all of the first team stars, and two of those, Sergi Roberto and Gerard Piqué, are the guys we’ve put to the test in this video. Who’s going to win? Well, it was close. Very close. We don’t want to give anything away, but this was a photo finish if ever there was one!